Hi. 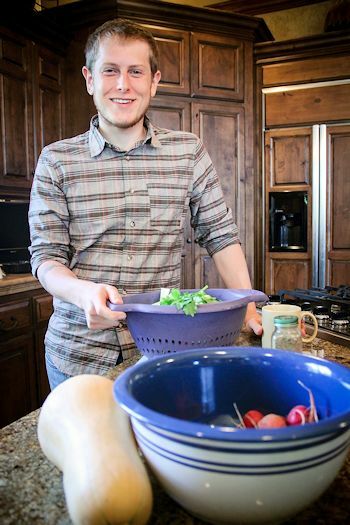 I’m Matthew, the founder of Lifestyles in Nutrition. A perceptive listener, a health enthusiast, and an educator. And I’m here to debunk the health myths that have made healthy eating so difficult and to personally formulate herbal medicine so that you can start living your ideal life without the burdens of common health conditions. I’m passionate about finding the root cause of health issues and addressing these directly. I’ve been through many health issues and have spent years wasting time focusing on symptoms or Band-Aid solutions. Finding the root cause is a process of simplifying the situation. We start by clearing out the simple issues and healing the gut so that what’s left is a clear picture of the core issue. I wasn’t always on a path to optimal health. It started out as a necessity when my health quickly declined after starting elementary school. I started gaining a lot of weight eating the same foods as my peers. Soon I began to battle depression and insulin resistance at a very young age. My body was in such dis-ease that I was surely pre-diabetic and headed towards early risk factors for heart disease. I struggled for years trying to live a normal teenage life and lose weight at the same time. I had to adjust my food intake, focus on what I thought were healthier foods, and exercise for weight loss but still I found no solid improvement. Finally, at the age of 17 and weighing over 200 pounds, my body broke out in chronic hives. This was my breaking point. My body had reached its limit and could no longer handle the burdens it was experiencing. My immunologist diagnosed me with chronic idiopathic urticaria, which was a fancy way of saying they didn’t know the true cause. I was told that I should take Benadryl daily until it goes away. But the medicine came with side effects and the hives didn’t go away. After suffering for six months I went to a naturopathic doctor. That’s when I was told to make specific changes to my current diet. I jumped right out of my comfort zone and took on the changes. My hives quickly disappeared and my body weight reached a normal level within a year. This changed how I looked at food forever. After receiving my bachelor’s degrees I knew I wanted to move into the health and nutrition field to help people combat issues like diabetes, cardiovascular disease, and gastrointestinal dysfunctions. I wanted people to overcome their health burdens so they can live an optimal life. 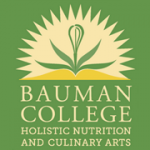 I enrolled in the Nutrition Consultant Program at Bauman College: Holistic Nutrition and Culinary Arts. This is where I truly started my road to optimal health without being distracted by nutrition myths. 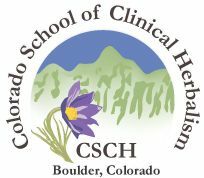 Then I completed the full herbal curriculum at the Colorado School of Clinical Herbalism to understand traditional western herbalism and the new peer reviewed data on herbal actions. Now I get to share my knowledge with you. I can confidently say that healthy eating is based on a person’s biochemical individuality and a stress free relationship with food, not just calorie counting and nutrition labels. This isn’t a one-size fits all program or a temporary diet plan. I don’t sell the same standard herbal formula to everyone with the same health condition and I’m not here to write up a strict meal plan for the month and send you on your way. That sort of program ignores biochemical individuality, lacks one-on-one support, and only educates people enough to keep them relying on the program. That kind of program is for people who aren’t yet ready to personally take control of their health. I’m about educating you in real nutrition and eating for health so you can feel empowered to make decisions that you know will support you for the rest of your life. I’m not about perfect eating. I don’t have a perfect lifestyle regimen. I’m about taking steps towards optimal health and making conscious improvements. When it comes to my diet I do my best 80% of the time. And if I make mistakes the other 20% of the time that’s okay! That’s just part of modern life. When I’m looking to take the next step, I look at that 20% for behaviors or habits that I’m ready to tackle and improve upon. This 80-20 mentality keeps me from holding myself to impossible standards that would typically lead to disappointment and giving up on a healthy diet altogether. I encourage you to take that first step towards a healthier you by imagining what your optimal life would look like. What would you do that you can’t do now? What gets in the way? I can help you along your path to optimal health. Contact me today to see what I can do for you. Try a FREE 10 minute call. Or if you’d like a bit of a trial session, try the 30 Minute Preliminary Session and leave with a diet direction that suits your needs. Call (303) 816-3713 or email MKoontz@LifestylesInNutrition.com with questions or to set up your first session.